Marie-Anne has spent 20 years in the world of fashion, having spent much of her time working with models, buyers, and designers. During that time she learned how important it was to listen to their needs in order for them to trust her in they're working relationship. It was then that she realised her ability to not only listen to what they were saying but to have a sense of what they were really feeling. This understanding led her to train as an executive and business coach under the accrediting body of the International Coaching Federation, which is a motivational and structured way of working with clients to achieve business and personal goals. She continued her personal training with the Quest Institute in Regents College, London where she gained her Cognitive Hypnotherapist and NLP diploma working with phobias, anxieties, panic attacks. Marie-Anne went on to specialise in fertility and Hypno- birthing with Easibirthing. She is accredited with the National Council of Hypnotherapists and with the Complementary and natural health care council where she upholds their code of ethical guidelines. 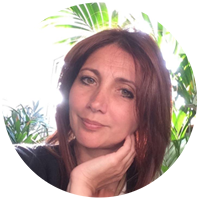 Marie-Anne is a qualified and registered member of the BACP as a Psychodynamic Counsellor with the British Association of counsellors and Psychotherapists, working with couples, adults and adolescence for short term or open-ended sessions. She has worked with sexual abuse, relationship issues, depression, fertility, couples counselling, and dysmorphia as well as working with the pressures of the corporate world. She is the Founder and co Director of The Mind Body Practice, where she practices Mondays, Tuesdays and Thursday. It is based in central London, providing a confidential and holding environment where she is committed to developing the therapeutic relationship. She is also available at 999 Medical practice on Wednesdays and on Fridays until 1pm. Marie-Anne’s commitment as a therapist is to continue to grow professionally and to create and maintain the boundaries that facilitate the needs of those who seek her professional help.